» . Stewart, Kimberly . 2019 CNAREA Annual Convention in Collingwood. 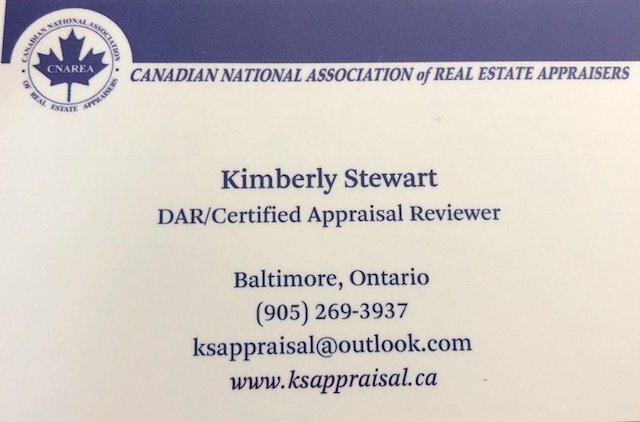 The CANADIAN NATIONAL ASSOCIATION of REAL ESTATE APPRAISERS is a national, not for profit, independent association that licenses, certifies, and regulates real property appraisers in Canada. It was established to provide an effective membership orientated organization of professional real property appraisers based on their academic qualifications, training, and practical experience.